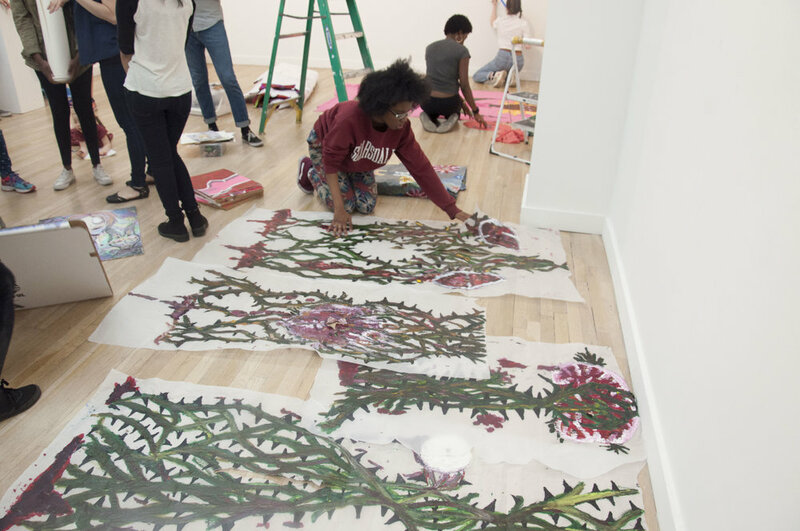 The CUE Teen Collective is a free, year-long after school program designed for NYC high school students who are passionate about visual culture and interested in exploring careers in the fine arts. Participants meet on Thursday afternoons from October through May to investigate the contemporary art world, develop professional skills, and produce artwork for a group exhibition in CUE’s gallery space. 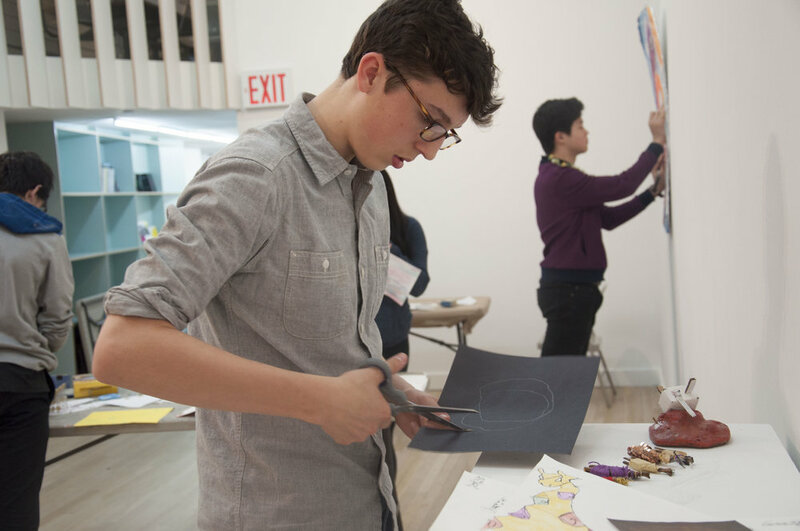 With behind-the-scenes access to the New York art world, the CTC demystifies career paths available to students, while inspiring them to develop their own personal artistic voices. During talks with artists and curators, trips to gallery and museum shows, visits to art fairs, and hands-on studio sessions, students will have the opportunity to ask questions of working arts professionals about their careers and practices, learning about various approaches to a sustainable and rewarding career in the arts. Additionally, students are able to form an artistic community with their peers over the course of the academic year, sharing their work with one another and giving and receiving meaningful feedback on technique, process, and content as they work together to develop and refine their artistic practices. In May, students present original artwork produced over the course of the program responding to a unique theme of their choice in an exhibition at CUE’s gallery space in East Chelsea, accompanied by a full-color catalogue that documents the exhibition and the students’ individual works, and includes students’ artist statements and biographies. 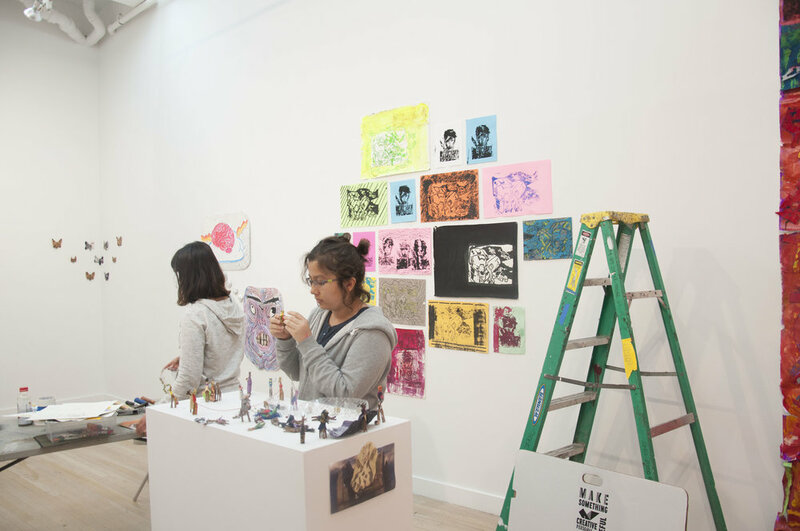 Through this process, students learn how to install and produce a show in the same manner as working artists and gallerists all over the world. View the 2017-18 yearbook here. Classes take place at CUE Art Foundation, located in Manhattan's Chelsea/Flatiron district. 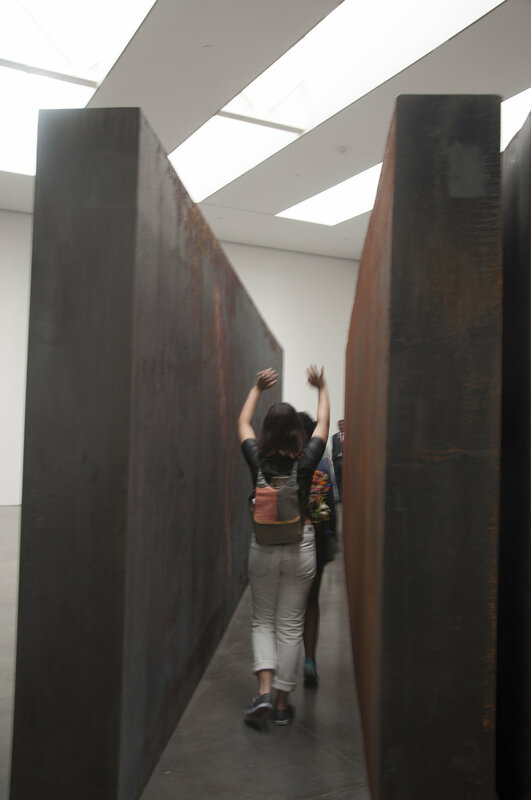 The program includes an active field trip schedule to locations around NYC. Participants should be comfortable independently navigating the subway system. The program begins in October and concludes at the end of May. Participants must commit for the entire season. Classes meet once a week for 2 hours on Thursdays after school, from 4:30pm to 6:30pm. 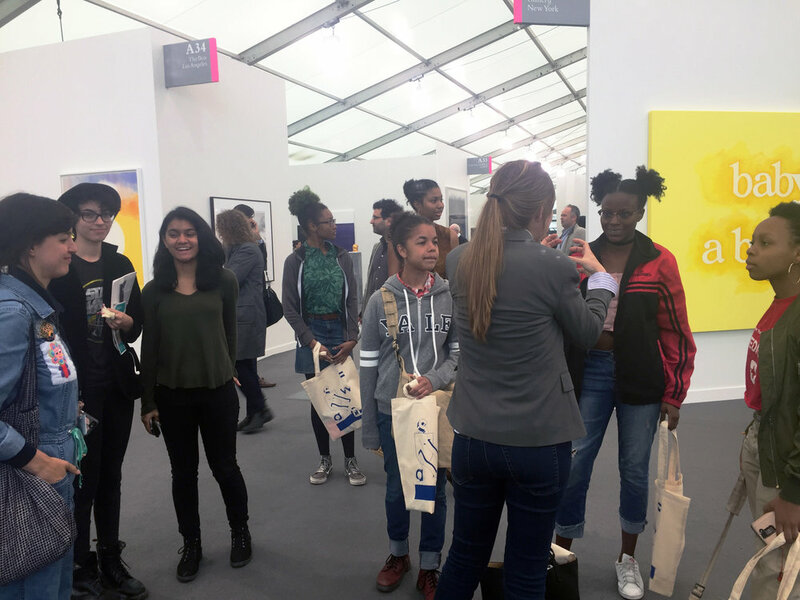 We're looking for NYC high school students in grades 10 and 11 who are interested in exploring careers in the arts (future professional artists, curators, art critics, publishers, and more). Interested students apply online by filling out a questionnaire and submitting 2-3 work samples. Applications are accepted once a year in the fall. "Growing up and going to school in Queens, I felt that the “art world” was a distant creature who I, a teenager, could not interact with. I feel now that I was sheltered, but the CUE Teen Collective introduced me to the gallery scene in Chelsea as well as a world of individuals and institutions in the art world that furthered my interest to work in the art world and showed me opportunities to get my feet in the door. The CUE Teen Collective was an amazing program and a very rewarding experience that sharpened my goals as an artist as well as an art student. This program also introduced me to many talented artists and admirable people in the art world who inspire me as an artist as well as a person deeply interested in curating or working in galleries. [...] I am really proud of the work I got to do in this exhibition, and am forever thankful to the CUE Teen Collective for giving me insight into the art world that I want to work in as well as insight into my own art process." "This has been an amazing, fun, and educational experience! I am so grateful. Immersing myself in the art world has taught me a bit about how it functions. This makes it easier to talk to fellow artists, curators, etc., which I think is the most valuable skill in the art world besides actually making art." "It’s given me a look into the REAL art world and how much of your own boss you have to be." With questions or for more information, please contact Lilly Hern-Fondation, Programs Associate: lilly@cueartfoundation.org. Wendy Red Star giving a tour of her exhibition at CUE.